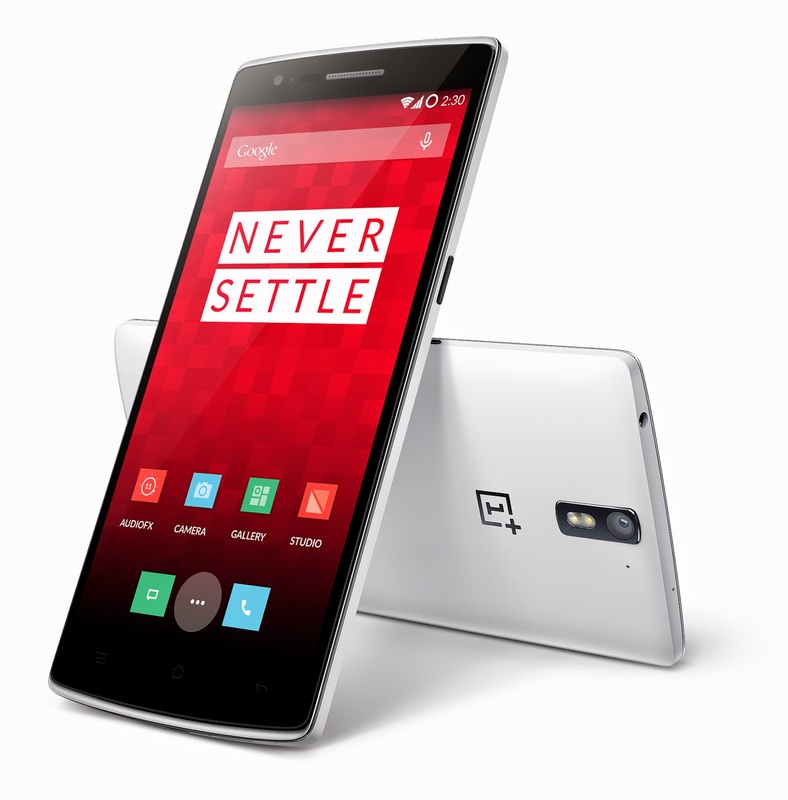 OnePlus, a new mobile phone company based in Shenzhen has finally announced its first smartphone - the One. The device comes with "flagship killer" specs and priced at an affordable price starting from $299. Let's take a look at the "killer" specs. Under the hood, the One packs Qualcomm's latest Snapdragon 801 Quad-core 2.5 GHz processor with 3 GB of RAM and Adreno 330 GPU. The gorgeous large screen uses JDI 5.5 inch Full HD (1920 x 1080) IPS LCD display with Touch On Lens technology and protected by a layer of Corning Gorilla Glass 3. 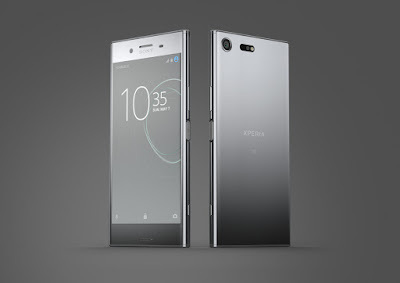 There is a 13 MP f/2.0 Sony Exmor IMX 214 sensor with 6-lens module camera and Dual LED flash which capable to record 4K video and 720p slow motion at 120 fps. You'll also get a 5 MP wide-angle front-facing camera, 3,100 mAh battery, NFC, Bluetooth 4.1, LTE connectivities and a storage options of 16 GB or 64 GB. In addition, you'll found a pair of bottom-facing stereo speakers which have been tuned by JBL and tri-microphone with noise cancellation. 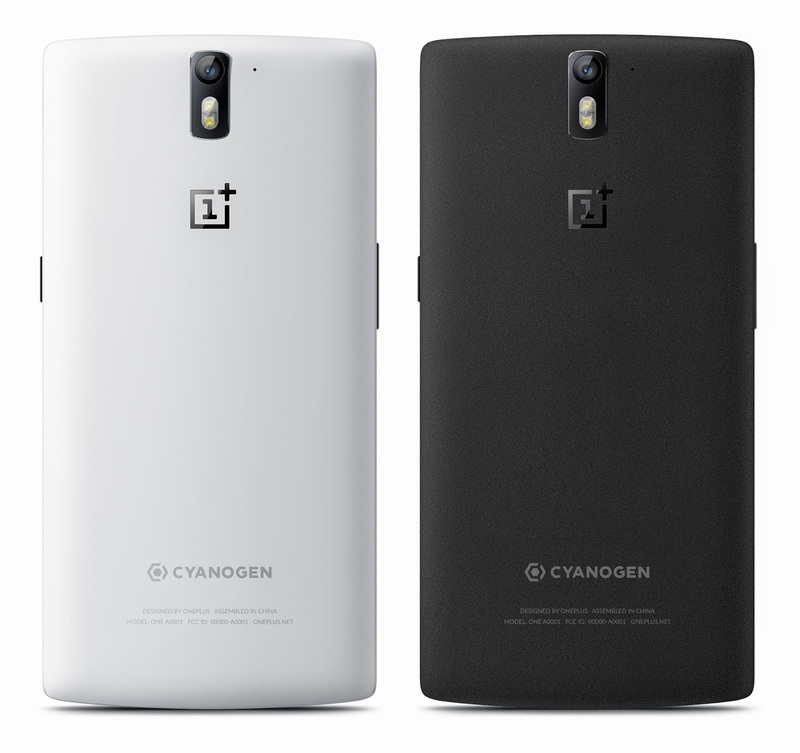 The dimensions of the One measuring at 152.9 x 75.9 x 8.9 mm and weighs 162 g. On the software side, the OnePlus One is powered by CyanogenMod 11S based on Android 4.4. 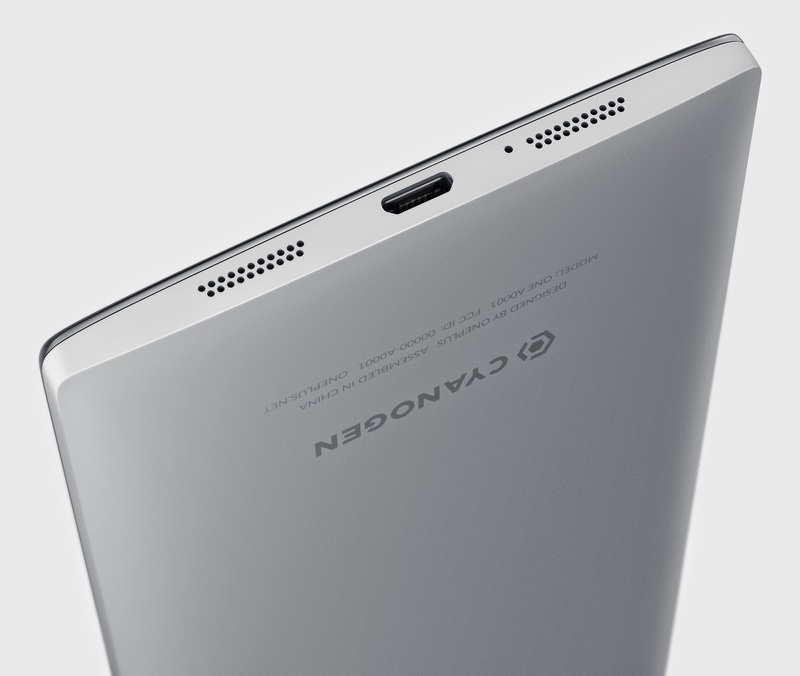 Interestingly, the device offer you the choice of on-screen or capacitive buttons. You can choose either one as your preference. 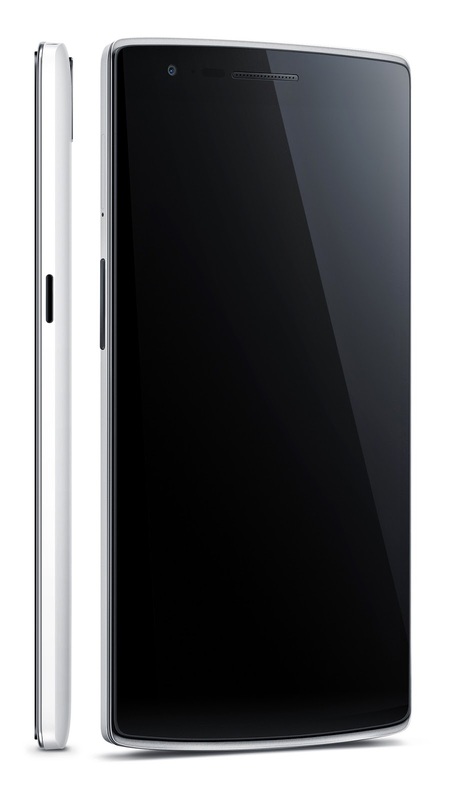 The OnePlus One will be available in two colour options: Silk White and SandStone Black. The 16 GB version will retail at $299 (around RM977) while the 64 GB version will be priced at $349 (around RM1,140). The smartphone is expected to available starting from Q2 2014.